Faucet spout reach: 9 1/8"
Retractable spout expandable up to 20"
The simple design of this 10" escutcheon/deck plate makes it an ideal choice to complete three-hole installations in a variety of commercial or home applications. Solid brass construction ensures durability, and longer life. 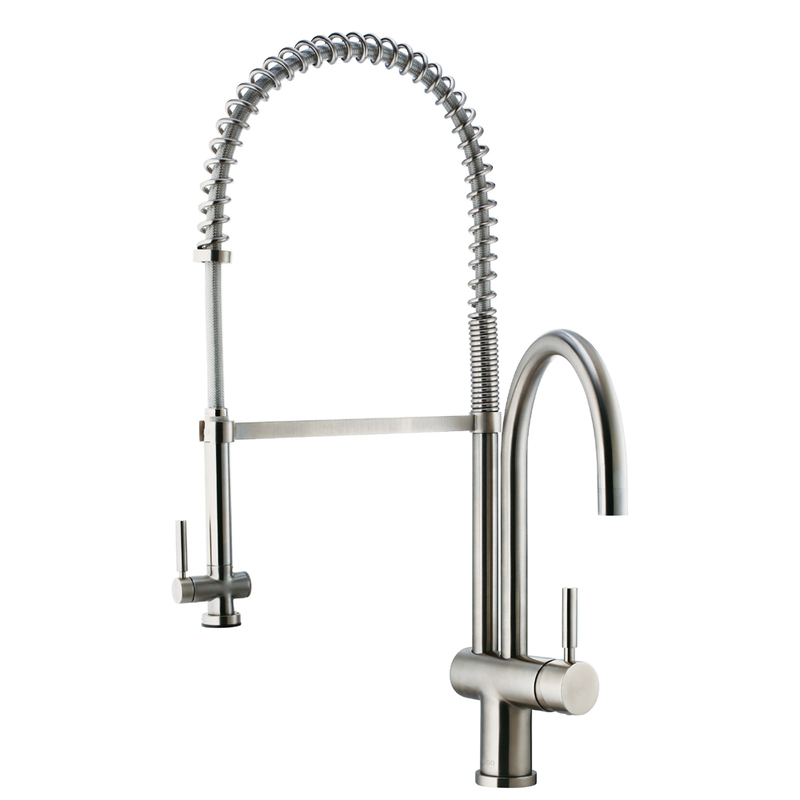 Create a sophisticated sink design with a Vigo Stainless Steel Soap Dispenser. This accessory is also perfect for holding hand lotion or dishwashing liquid. This accessory is a quick way to change your kitchen decor in a subtle way.